The Hamoni Golf Camp coaching staff includes people who are passionate about the game and eager to help others discover and learn it! Golf coaching at Hamoni Golf Camp ensures you enjoy the game and grow as a player, irregardless of your level of proficiency. John Volz has been a Class ‘A’ United States Professional Golfers’ Association member since 1995. 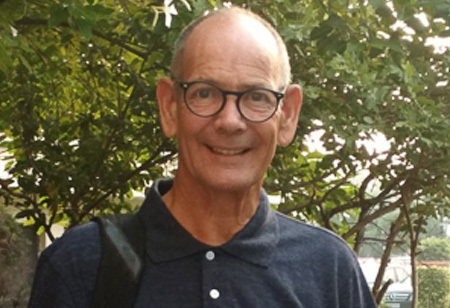 He sharpened his teaching skills from Golf Emeritus Sam Snead and US Senior Tour player Bert Yancey while working as the Head Golf Professional at Meadowood Golf and Tennis Club in Florida before coming to India in 1997. He was the Director of Golf at the Nicklaus Classic Golf Resort (now CGCC) for 9 years. He went on to become the General Manager of Boulder Hills Golf and Country club in Hyderabad for 4 years. He then went to the RCGC in Kolkata as Golf Director. 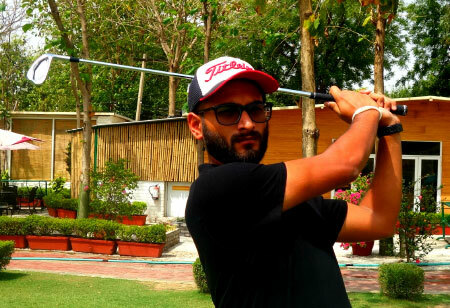 Since 2008 he has been actively involved in Albatross Junior Tour and has just completed 2 years as Head Golf Professional at the Nicklaus Imperial Golf Estate in Ludhiana. John has recently become associated with the US Kids Junior Tour. He provides golf tips to the Indian golf media, specifically Golf Plus and Golf Plus Junior magazines. Prashob Nair is a PGA Class ‘A’ Professional under the PGA of Great Britain & Ireland in conjunction with University of Birmingham-UK. He has been involved in the Golf Industry since 6 years, drawing experiences from Abu Dhabi Golf Club – UAE, Royal Dornoch Golf Club – Scotland and Mission Hills Golf Club – China. An alumnus of University of the Highlands & Islands – UK in 2015, he competed in Scottish University Sport and British UniversityChampionship during his study. He uses a holistic approach to coaching,where he links his knowledge in Sports Science to understand the golferin front of him and subsequently come up with interventions. 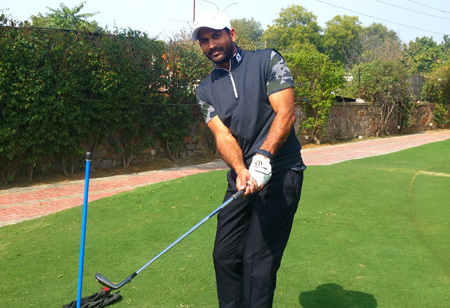 Rahul Singh Pathania is a ‘Class C’ certified Golf Teaching Professionalby the National Golf Academy of India under the programmesupported by the Royal & Ancient St. Andrews and the PGA of Europe.He has been playing golf since the past nine years with adequateperformance while portraying significant results. He holdswide experience in providing golf coaching to students of all ages andgame level. At Hamoni Golf Camp, he looks at teaching and helping moregolf enthusiats and to carry forward his love for the game. 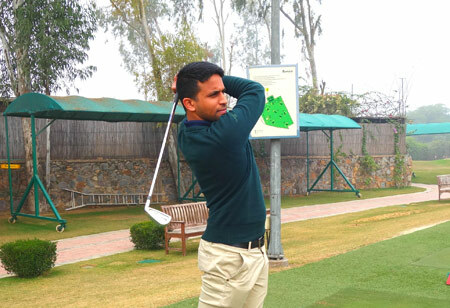 Brijesh Yadav is a ‘Class D’ certified Golf Teaching Professional by the National Golf Academy of India under the programme supported by the Royal & Ancient St. Andrews and the PGA of Europe.With over 17 years in the golf industry, Brijesh started his golf journey as a junior golfer, continued as an amateur and competed in the professional circuit before taking up teaching professionally. While his role as a supervisor at Hamoni Golf Camp, he trained himself to be a golf teaching professional and proudly credits his achievements to Hamoni for always providing the encouragement and support. Brijesh looks forward to sharing his love for the game and aims at contributing towards changing the golf scenario in India. 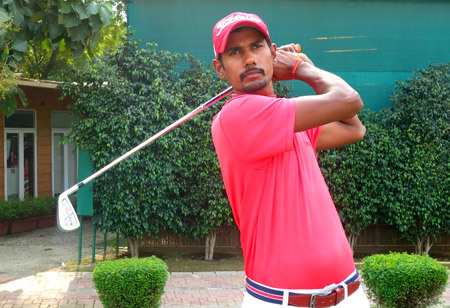 Manish Goyal is a professional golfer with playing experience of over a decade on the PGTI and international tours such as the Asian Tour, ADT and Mena Golf Tour. Manish has been trained under the umbrella of some of the world’s most respected coaches such as Claude Harmon 3 and Justin Parsons at the Butch Harmon Academy, Dubai. Alongside golf, Manish is an avid sportsperson and a triathlete. He has successfully completed 2 Ironman competitions. He has been a pioneer on the PGTI in terms of coupling his golf with an athletic approach to his training. Manish is also a certified TPI fitness instructor (Titliest Performance Institute) and PEAK Certified Foresight GC Technologist. With his playing experience, he aims to bring forward a more wholesome approach to learning the game, looking into course management techniques, practical short game skills and working on the mental aspect of the game. Manish is also the co-founder of Hamoni Golf. All our golf coaching lessons include Entry Fee, Unlimited Balls and Clubs/ Equipment, to ensure you maximise your learning experience. For golf coaching lesson programmes, see here. To book golf coaching lessons, get in touch with us.